Both the Desktop and Online versions of QuickBooks maintain an Audit Log showing a history of activity in the file by user. QuickBooks Online Accountant allows you to see all of your QuickBooks Online accounts listed in one login screen and you can choose which client file to access. Recently, we have witnessed several cross-overs of usernames in the Audit Logs. For example, you could be working in QuickBooks Online as yourself (the Accountant) on Client A, but the Audit Log shows you logged in as Client B on Client A’s file. If Client A happens to check the Audit Log, this could cause quite an alarm! Unfortunately, there is nothing you can do to change the username retroactively in the Audit Log. There are, however, ways to fix this if it is happening now, and ways to prevent it from happening in the future. If you have access to multiple QuickBooks Online companies, review the Audit Log in each company. If you log into QuickBooks Online as yourself, and the Audit Log lists another user’s name, this is where you will need to edit your Username record. To edit your username record in any of your QuickBooks Online company logins, go to https://www.login.quickbooks.com/. Once logged in, you will see a drop-down menu of QBO companies that you have access to. After selecting the company with the incorrect username, you can edit that username to correct the issue going forward. 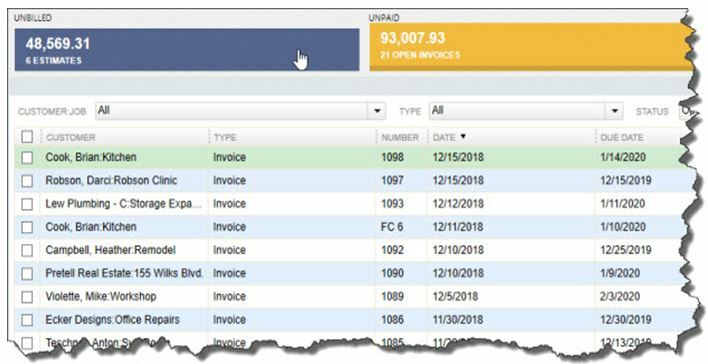 When you access a new QBO Company, it is always a good idea to check the Audit Log firsthand to prevent future issues. We have notified Intuit Support of these Realm issues as have other ProAdvisors, and we are awaiting their solution. In the meantime, you may wish to reach out to your affected clients proactively. Our last two newsletters focused on what was new in QuickBooks Pro and Premier for 2015; first for Accountants and then for Clients. If you missed them, they are posted on our blog. In the next two issues, we will cover what’s new in Intuit’s more robust software – Enterprise – in the recently released 2015 version. In my opinion, the most significant changes to Enterprise are in the Preferences that control what users can and cannot do within their company files. In the past, QuickBooks© has allowed you to sell products that you do not have in stock – at least not according to QuickBooks. There was a preference that if set, would warn you that you were selling something that was not in stock, but it would not prevent you from doing so. This caused all sorts of problems – having negative quantities on hand threw off the Cost of Goods calculations, caused errors in reporting and in some cases lead to recurring data damage. In the 2015 release, we now have an option in the Items and Inventory Preference that says “Don’t Allow Negative Quantity”. Selecting this option will prevent you from processing a transaction that causes negative inventory. It only works to block transactions from going negative if they have a balance of zero or greater. If the quantity is already negative, it does not prevent it from becoming further negative. This only works with Quantity on Hand. If you select the Preference to Disallow Negative Inventory, you will no longer be warned that a Sales Order or Inventory Assembly creates a negative Quantity Available. If you decide to use this Preference, take the time to review the new report called Negative Item Listing under Reports – Inventory and correct ALL negative inventory quantities before enabling this Preference. “Do Not Sell to Overdue Customers”. This works for Invoices, Sales Receipts and Sales Orders, but not for Credit Memos. You will want to make sure that your Customer Terms as they relate to Due Dates and exactly what constitutes Overdue, are set up properly before selecting this option. There is no Admin user override and this is not a User or Role specific preference so it could become quite restrictive if not set up properly. The leading cause of postings to the Opening Balance Equity account is entering the Opening Value when setting up Customers, Vendors, Assets or Inventory accounts and items. In 2015, we have the option to hide opening balance fields in Names and Items. It’s under the Accounting Preference tab. The field will be visible, but grayed out. I only wish that Intuit had made the default preference to Hide this field; it would save us countless hours of reversing duplicate transactions. These are only a few of the changes to Enterprise for 2015. Stay tuned for our next article and we will cover more of what you can expect to see for improvements. Part 1 of our What’s New in Enterprise for 2015 focused on the changes to the Preferences. This issue will cover some of the other changes that were made to enhance this more powerful and robust version of QuickBooks. In addition to being able to total the dollar amounts on transaction forms, we can now total Quantity and Custom Fields such as weights and counts specific to our industry. This is available on Invoices, Sales Receipts, Sales Orders, Purchase Orders, Checks, Bills and Credit Card Charges. The Custom Field must be a numeric field and not text. A section has been added to the Subtotal Item to allow you to edit and select which columns to total on forms. This feature does not work well with Units of Measure. There is no way for the program to understand 2 each or 2 dozen and make the proper calculation. It’s also a little tricky for Group Items but it can be configured to work for this type of item. We now have the ability to sort columns on our transaction forms. This is available in Estimates, Sales Orders, Invoices, Assemblies, Checks, Credit Card Charges, Bills, Item Receipts, Credit Memos, Sales Receipts, Weekly Timesheets and Purchase Orders. It behaves property with Subtotal Items by sorting those items above the Subtotal separately from the items below the subtotal. It does not do as well with Group Items. Other than making the forms look neater, I don’t really understand it’s purpose here. This feature I like for when I am trying to find that needle in a haystack, like on lengthy purchase orders when I can’t remember if I added something to my order and I want to go back and look for it. It’s located on a separate tab in the transaction menu ribbon. Just type in the box and it will search the displayed transaction for matches to your inquiry. It looks at the Item Code and the Description only – not custom fields. For me, this makes my forms and reports easier to read by alternating shaded lines. This option is available in the print window and is stored in the local printer preferences; it is saved per form and per user. The option is available on Estimates, Sales Orders, Pick Ticket lists, Packing Slips, Invoices, Purchase Orders, Bills, Item Receipts, Sales Receipts, building Assemblies, the physical inventory worksheet and item price lists. This field is available for Sales/Work Orders, Invoices and Sales Receipts. It is only a screen option and will not print on the forms themselves. It allows you to see your cost as your making a sale and with the new Subtotal feature, you can compare your total cost to your total sale. Keep in mind that this is Cost, not Average Cost. I can imagine that this would be useful in calculating customer discounts or mark-downs at the time of a sale to make sure that you’re not selling below cost. I’ve been waiting for this one, unfortunately it’s only in Enterprise 2015 and not Pro and Premier 2015. The option is located in the additional customization settings of the form template on the last tab – Print – Only Show Total on the Last Page. This avoids having that blank Total Box show on the first page of an invoice with multiple pages. It suppresses the entire footer with the exception of custom text boxes and page numbers. It affects Invoices, Sales Orders, Estimates and Purchase Orders. For some unknown reason it is not currently available on Credit Memos or Sales Receipts. Maybe they will add that later. There are quite a few more changes in Enterprise 2015 – too lengthy to cover in this article – and I am sure that there will be more to follow. At the time of this writing, rumor has it that there will be a big announcement regarding the Enterprise platform at the QB Connect conference in San Jose next week – I’ll let you know what I find out. QuickBooks 2015 Desktop has just been released and there are several new features and improvements to old ones that you will want to take a look at to see if it has something worth upgrading for. Insights Dashboard – Insights is similar to the old Company Snapshot, which is still available. It’s a dashboard view of your financial position with a more up-to-date user interface. You can find it as a tab on the Home Page and configure the view using the gear icon in the upper right-hand corner of the screen. It’s customizable – you can add your logo, decide what you want to see and print the details of the entire screen. You can also click on the graphs to see a report with the supporting details. Time and Expense on the Income Tracker – You can now view Unbilled Hours for Work in Progress by Dollars and sort the on-screen information in the Income Tracker. 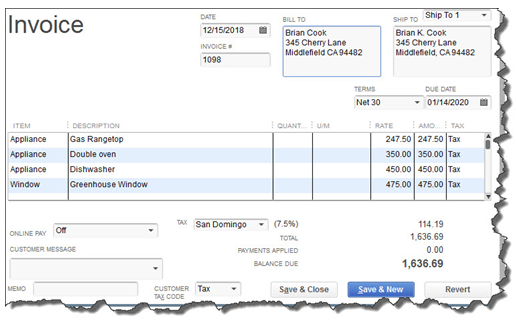 If you’re not familiar with the Income Tracker, that was a new feature in QuickBooks 2014. Improved Reporting – This is great for those of us who are now having a difficult time with seeing our monitors without magnifiers. The on-screen reports have a more modern design with background shading, vertical and horizontal lines, increased line spacing, row alignment and indentation. Field Search Boxes – Finally! When customizing reports we can now search for the columns we want to add to our reports from the filter list that is now in alphabetical order and searchable, instead of scrolling up and down looking for a needle in a haystack. 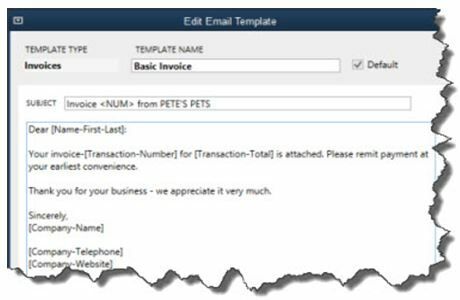 Comments on Reports – In QuickBooks 2015, you will be able to add comments to reports, snapshot save them as Commented Reports and email them with the comments attached. The comments are numbered sequentially and will print as a separate page. Please keep in mind that emailing sensitive information is not secure. Multiple Reports in Single Email – instead of sending one email per report or creating PDF’s of multiple reports, storing them in a folder and then emailing them, you can now process and email multiple memorized or commented reports from the multiple reports menu. Again, emailing is not the preferred method of sending sensitive financial information as it is not secure. We recommend using a secure portal for transmitting data. Manufacturer’s Part Numbers – in QuickBooks 2015, we can add the Manufacturer’s Part Number to our forms without using up a valuable custom field. This is available on Invoices, Sales Receipts and Sales Orders, but not Credit Memos. Be careful, this is an editable field and can be copied back to your Item List. Pin Notes – the Notes section of Customers and Vendors has been re-designed and we can now pin important notes to the top of the view screen so that it always shows and is the default note on reports. Reminders Dashboard – The Reminders now show up as a dashboard with To Do Notes. It’s easier to understand and work with than previous versions. Terminate QB on Workstation – This new feature is dangerous at best. In a multi-user QuickBooks file, the Administrator can now switch to single-user mode without the permission of the other users who may be logged in. It closes even if the other users have unsaved data. I am recommending that all Admins forget that I told you about this feature. 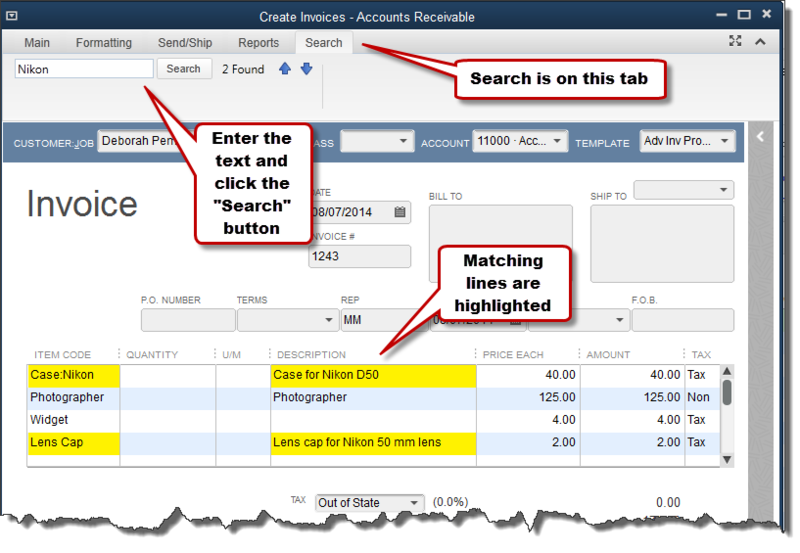 Invoice for Selected Items on Sales Orders – We can now select which items we want to Invoice from a Sales Order. Unless you see something in these changes that has been an issue for you, there is no real reason to upgrade. If Intuit stays true to form, the 2012 version of QuickBooks will be sunsetted in May of 2015 at which time those users will be required to update if they wish to continue using online banking, payroll and email features from within the program. millions of small businesses, and it remains the market leader. Though QuickBooks versions themselves are not scalable (able to expand as your business grows), you can move up to a more sophisticated edition when you outgrow your current version. This article of QuickBooks Tips and Tricks was based on the 2013 version of QuickBooks. 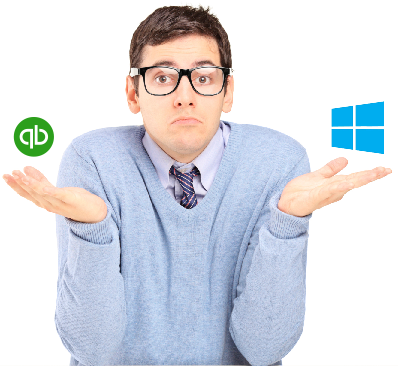 QuickBooks offers a few options for check creation. Click Edit | Preferences | Checking | My Preferences. Here, you can specify a default account for the Write Checks function. Click Company Preferences for additional options. Figure 2: Check the boxes here to activate options. 3. You can customize the appearance of your checks. Click File | Printer Setup |Check/PayCheck. Specify printer options and check style, change the fonts in some fields, designate a partial page printing style (using the envelope feed) and add your company’s name and address, logo and a signature image. 4. Be sure that your printer has enough toner before you begin a job. Esc key to halt it. Double-check to make sure that your numbers match before you launch a print job. Compare the number in the First Check Number field to the number of thefirst check queued up in the printer. Ruin a check or an entire page of them? If your accounting protocol allows you toskip check numbers, just start over by changing the First Check Number so thatit corresponds with the starting number on a fresh batch of check blanks. If not, you’ll have to create a check for each one that was ruined, choosing a name and account and an amount of $0.00. Then void the check(s). (Click Banking | Use Register and select the account. Highlight the transaction(s), select the editoption and void. Do not delete them.